The DVD’s days appear to be numbered after the UK’s favourite department store said it would stop selling the players once found under almost every television. Gill Hind, director of TV at Enders Analysis, said its decision to ditch DVD players was as much about retailers’ desire to offer the latest innovations to consumers as the rise of streaming services alone. Is ‘Never knowingly undersold’ killing John Lewis? 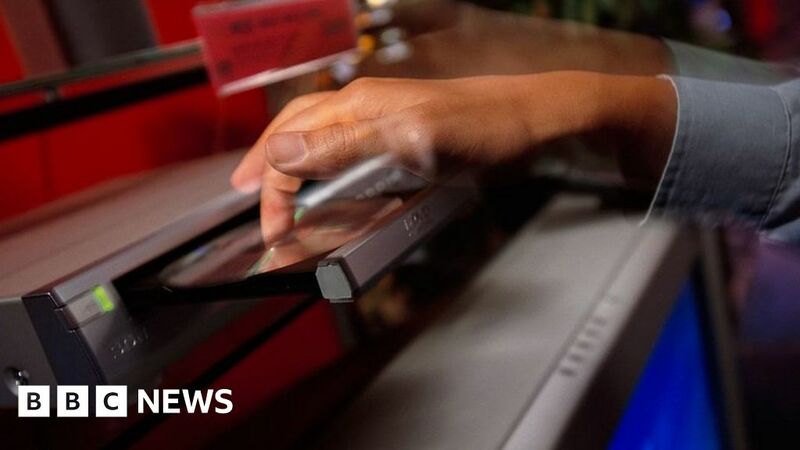 Prices of DVD players have fallen to as low as £20 at supermarkets. The cheapest Blu-ray player sold by John Lewis is £79, ranging up to £449 for a model that can also record TV programmes. The likes of Argos would continue to sell DVD players, Ms Hind said, but the margins were now too low for upmarket retailers such as John Lewis. Although streaming accounted for more than four fifths of the £2.7bn UK video market last year, the Christopher Nolan film Dunkirk still sold 640,000 copies on DVD and Blu-ray. The most popular title of 2017 – Disney’s Beauty and the Beast – sold 1.5 million copies across physical and digital formats. DVDs can still be bought from more than 15,000 UK retailers, with supermarkets accounting for sales of one in two DVDs and one in three Blu-rays. However, one in ten is now sold in retailers such as fashion and DIY stores, garden centres and petrol stations, according to the British Association for Screen Entertainment. Shoppers are also calling time on the bedside alarm clock, as more people use their phones for the same purpose, prompting the retailer to cut its range by a third following a 16% slump in sales. As well as waking us up, mobiles have become the most popular way for John Lewis customers to shop online for the first time, with the number of orders placed on the devices up by 35%. Meanwhile, the popularity of the BBC series Blue Planet II led to a 71% surge in sales of reusable coffee cups, travel cups and flasks. Another TV programme that proved a huge ratings hit this year – the ITV reality show Love Island – was responsible for a similar jump in sales of thongs – lingerie, not Australian footwear – and a 132% increase in sales of suspenders. Those increases were the “biggest surprises” of the year, John Lewis said. The show also boosted sales of colourful men’s swimming shorts – worn by its male contestants. This year has proved difficult for John Lewis, which said it was “one of the toughest retailers have seen”. Last month the Partnership, which also owns Waitrose, said profits fell 99% to just £1.2m for the six months to 28 July.